dlb Technology was a Microsoft Small Business Specialist and Network Services Provider for over 15 years in Jacksonville, Florida. We have moved to Deland, Florida, where we transitioned exclusively to a Managed Services Provider (MSP). 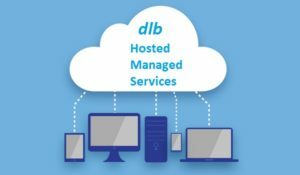 We partner with the most reputable and reliable services providers to bundle a “Business in a Box” of cloud hosted services. Our offering is focused is on new startups and small to medium businesses. We now provide the core technology t hat most small and medium businesses need. We offer a simple bundle of cloud services for use by local administrators, or we manage all of it ourselves - both at reasonable monthly costs. We select our cloud services through established, reputable and highly available providers. Keeping your core IT services and data in the cloud will keep your business operating through empl0yee turnover, disasters and relocations. Let us help you move your business into the future.. Contact us for a free assessment to see if your business is ready to move to secure and always available cloud services.